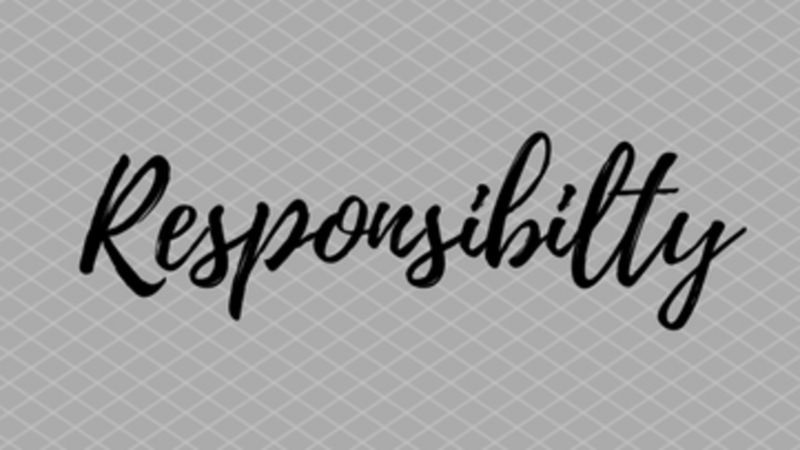 Responsibility is, by it’s own vernacular structure, the ‘ability to account (for one’s actions/decisions).’ Responsibility and accountability have a symbiotic relationship, one in which the more accountable an individual is, the more responsibility they will likely attain. In other words, responsibility is the effect of proven accountability (at least in theory). In my personal opinion, the greatest facet of accountability is being honest and demonstrating integrity. Being accountable, or responsible, in no way suggests that mistakes are not made, but rather suggests how an individual responds with their errors and omissions. I have made may mistakes…but, I am not afraid to admit my errors, learn from them and make adjustments to ensure better performance in the future. I am open and honest with both myself and others, and therefore have proven to be an accountable person. Spencer Johnson said, “ Integrity is telling myself the truth. And honesty is telling the truth to other people.” Both are integral to be considered an accountable and responsible individual. It is curious how so many individuals assume that in order to be respected and viewed as a responsible and accountable person, they can not make any mistakes, and must cover up any errors made to “protect” their image. This is a huge burden to carry on one’s shoulders and completely opposes the true law of responsibility. My challenge to you is to stop seeking recognition and responsibility by attempting to craft a “perfect image.” Instead to be fully accountable for your actions and decisions and I believe that you will find that the recognition and responsibility you desire will find you.